Last season the Eagles finished last in the East. This year they are headed to Super Bowl and fans throughout Philadelphia are going crazy with excitement. 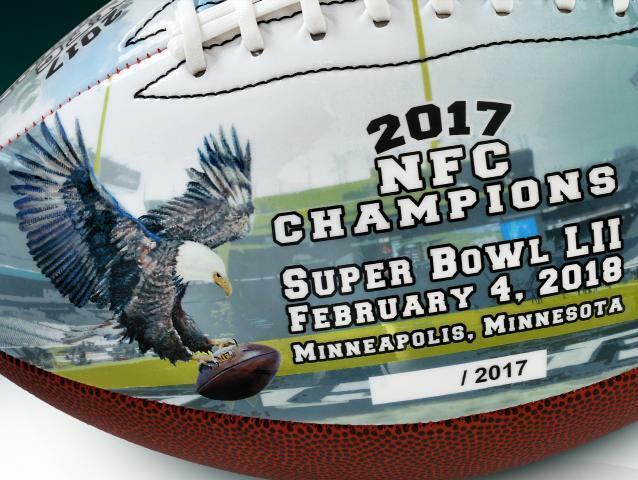 Following an amazing 2017 regular season and two great playoff wins, the Eagles will travel to Minneapolis for Super Bowl LII. 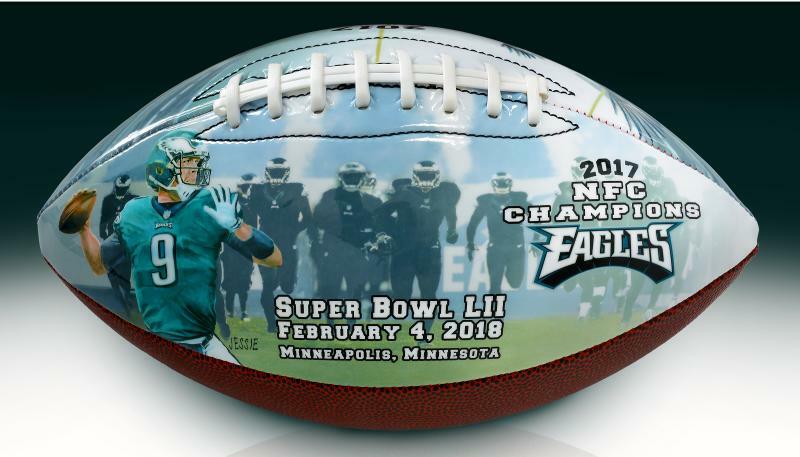 To celebrate the franchise's return to the Super Bowl we are pleased to release this beautiful and unique Philadelphia Eagles NFC Champions Commemorative Art Football. 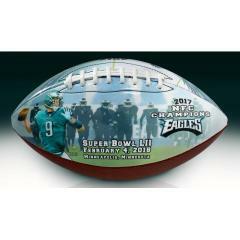 This exclusive, full-size football features amazing, full-color reproduced art from the work of noted artist Jolene Jessie. 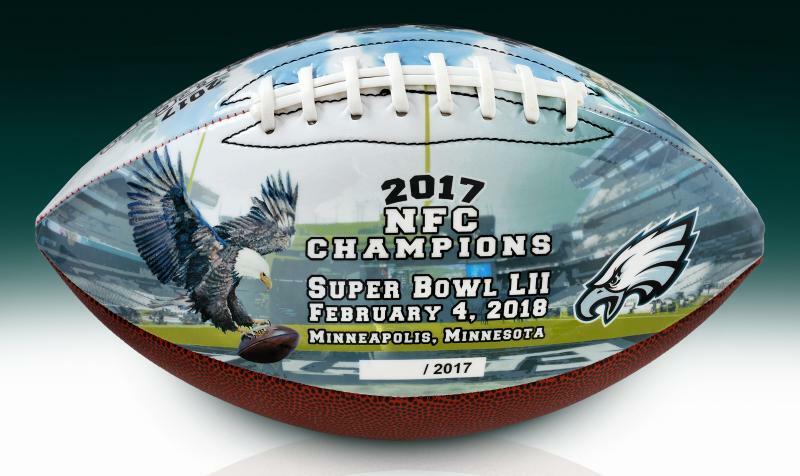 Every Eagles fan will want one of these limited collectibles so order yours before they are gone.